Ansdell Road Slade & Grannies Bay, Fairhaven. 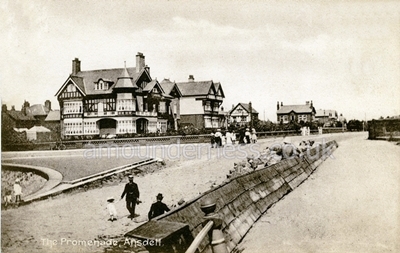 Ansdell Road was the boundary of Fairhaven Estate at the Lytham end. The White Church (completed in 1912) now stands at the corner of Clifton Drive. 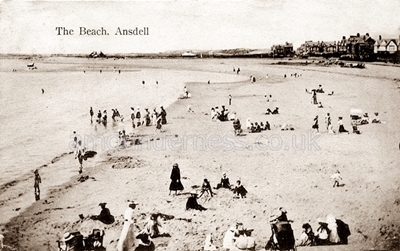 Ansdell Slade sloped down to the then sandy beach which was a mecca for children and nannies. 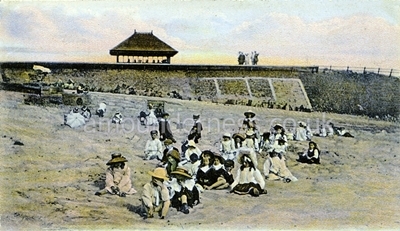 In the Edwardian summer seasons there was a wooden stage on the beach and Fred Carlton and his pierrots performed there. Sadly, after the Ribble Navigation Company built its new channel to Preston this beach silted up and since the 1940s Marram grass has taken hold. Ansdell Road & Slade, Fairhaven c1905. 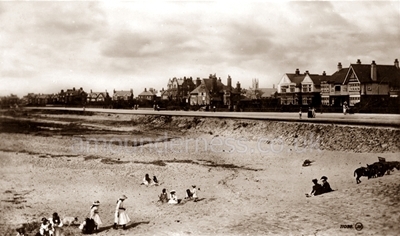 Ansdell Slade & Childrens' Corner, Grannies Bay, Fairhaven c1905.